Elegant 5 star hotel on the Grand Canal. 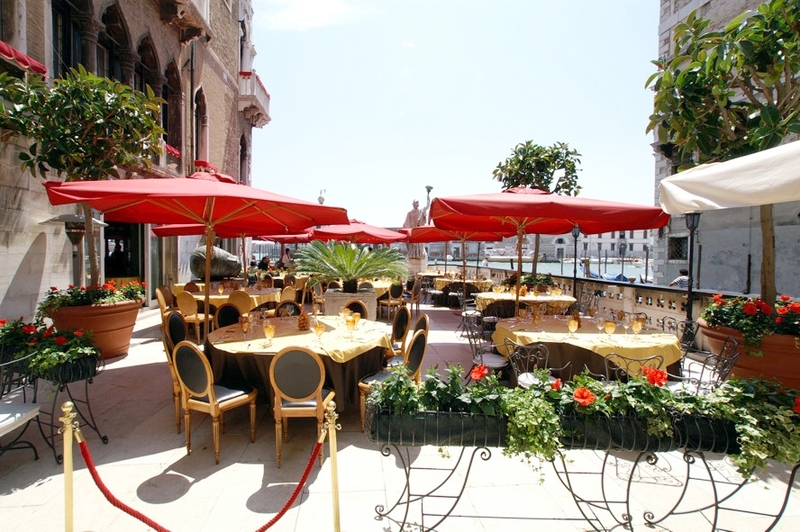 There is a stunning roof top terrace hired privately for events and offering amazing views of San Giorgio church. Guest Numbers: Up to 90 guests on the terrace and 50 guests in the restaurant. Music: Classical music is welcome. Transport: Arrive in water taxi or gondola.